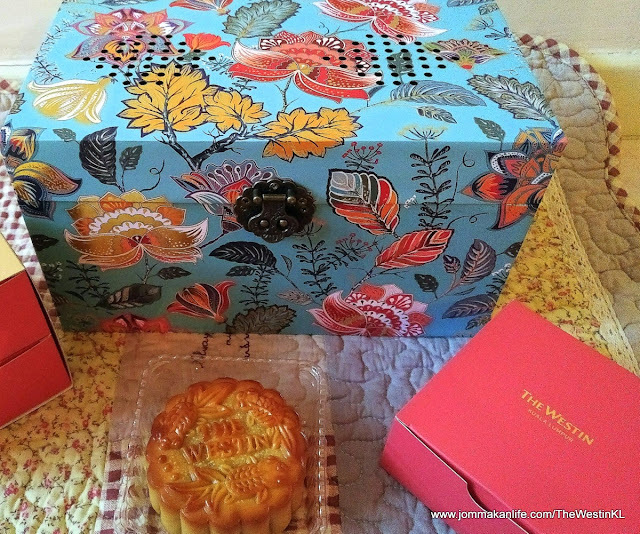 Music is food for the soul…this Mid-Autumn Festival, I was thrilled to find music for my ears -- thanks to the pretty YUÈ Mooncake Gift Boxes from The Westin KL. 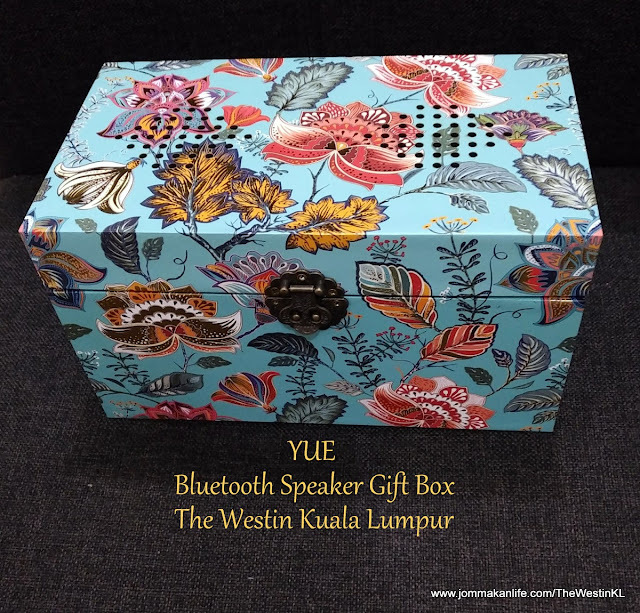 YUÈ, the Chinese word referencing to moon, music and delight, actually is a gift box incorporating Bluetooth speakers. 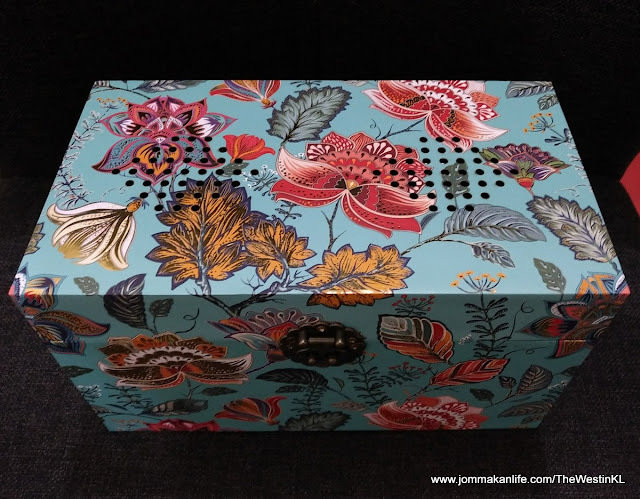 Turn on a little switch behind the lid and YUÈ will connect wirelessly with your smartphones to play your favourite music. The sound quality is excellent too. 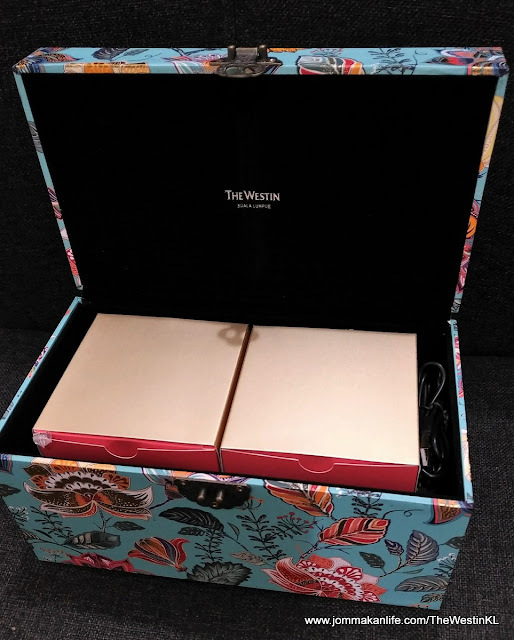 Clad in deep blue brocade or vibrant floral print, the velveteen lined YUÈ gift box holds a set of 4 baked mooncakes. 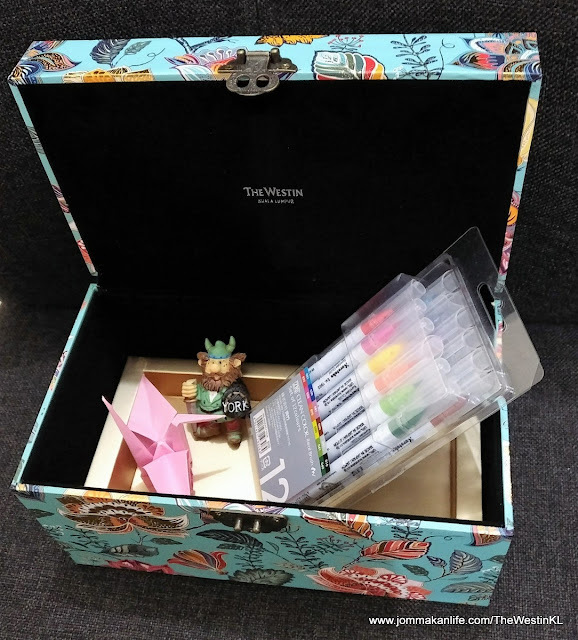 Select from 7 delightful varieties: Low Sugar Plain White Lotus Paste, Low Sugar Plain White Lotus Paste with Single Yolk, Pandan Lotus, Supreme Mixed Nuts, Pure Red Bean Paste, Imperial Black (charcoal bamboo skin with longan infused paste) and Pearl of Prosperity. 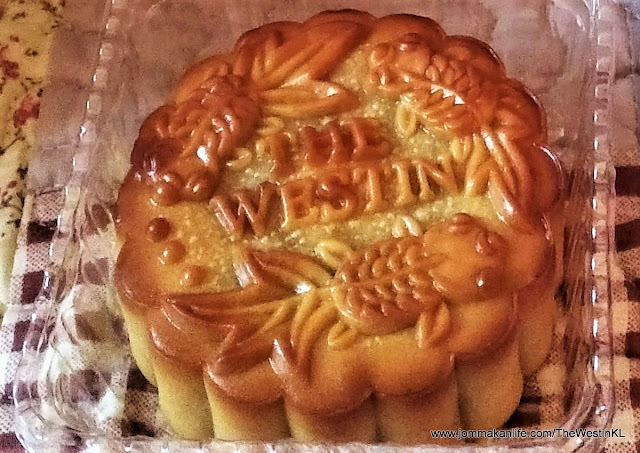 Durian fans can opt for the Mini Pure Musang King Durian Snow Skin Mooncakes. 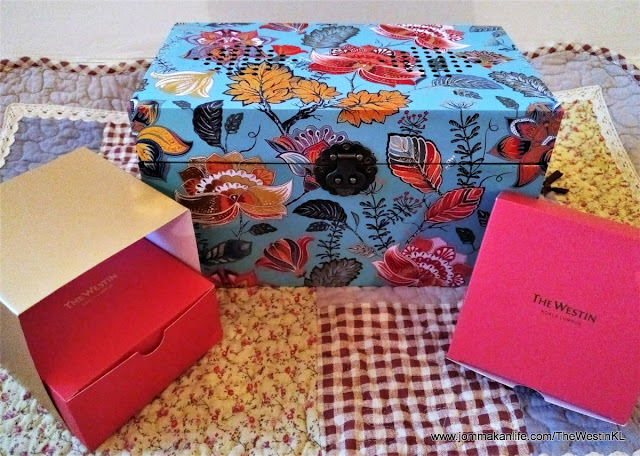 The pretty YUÈ gift boxes can be repurposed as jewellery or keepsake boxes; an impressive treasure chest that can uplift your mood when the Bluetooth speakers are turned on. YUÈ is available at RM168 each for a set of any 4 baked mooncake flavours and at RM240 for the snowskin durian flavour. For enquiries, please call The Westin KL, tel: 03 2773 8338.